Early literacy skills are essential for children to progress into being literate adults. Literacy is not just about the foundations of reading and writing but also to enjoy books and other readable materials such as e-books and child friendly magazines. This focuses on the children being able to listen to stories with increasing attention as well as being able to recall key events and characters within the story. Children will also be able to look at books independently and look after them as well as holding them the correct way around. Understanding that print carries meaning often interest the child and engages them in wanting to know what is written. Not only do we encourage the children to explore texts we also use pictures to read stories. By doing this is gives the children the ability to gain contextual clues from pictures which will help with their understanding of stories. The physical ability for children to hold their own pencil and use it effectively comes within physical development in the moving and handling aspect. This aspect focuses purely on the child ability to give meaning to marks they make as well as ascribing meaning to marks they see if various places. For example if a child comes to a member of staff with a drawing the member of staff will ask what they have drawn and get the child to explain. This will not only allow the staff to access the child’s writing ability but also their understanding and evaluation of their own work. At Toybox we give the children lots of opportunities to develop this area of learning. We use sound books not only in the nursery but they can also be taken home to develop the children’s understanding of letters and sounds. We follow the letters and sounds document which breaks the letters and sounds up into manageable phases. Each child gets a sound good which has one sound for example ‘s’ in the middle. At nursery we do lots of activities around this letter including singing the Jolly Phonics song. The child then takes the book home and with a grown up draws or sticks pictures of the sound in the book. This gives both the staff and the child the time to see where their knowledge is at. We base the groups from an assessment we do of the children each term and we move the child on depending on their ability or understanding. We are also very fortunate to have a fantastic range of reading scheme books. Every week each child gets a reading scheme book as well as a book of their choice from our well stocked library selection. The two books are read through with their teacher as well as written into their reading record. This can then go home and make a fantastic change to their bedtime story. 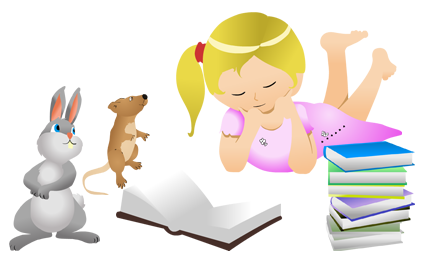 We encourage the children to select a range of books both fiction and non-fiction.